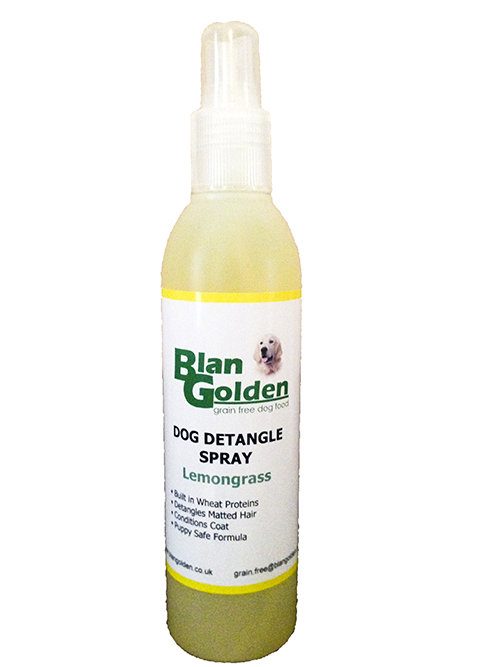 Dog Detangle Spray with lemongrass 250ml. and wheat proteins to detangle and condition skin and coat. 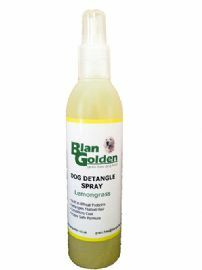 This Dog Detangle Spray is perfect for removing knots and tangles. Built in wheat proteins condition and strengthen coat, leaving it silky and easy to comb. Can be used either wet or dry. Free from artificial colours or fragrances. Alcohol free, paraben free and ph balanced.